Till Homer’s ghost came whispering to my mind. What comes to mind when you think of History? Great battles? Heroic figures? Massive world changing events? While great men and grand stories tend to dominate our thoughts of the past – it is important to remember that every day life went on 100 years ago just as it does today. Technology and fashion may have changed but people and communities still existed. It is through uncovering the ordinary past we can learn so much about the formation of our everyday world. 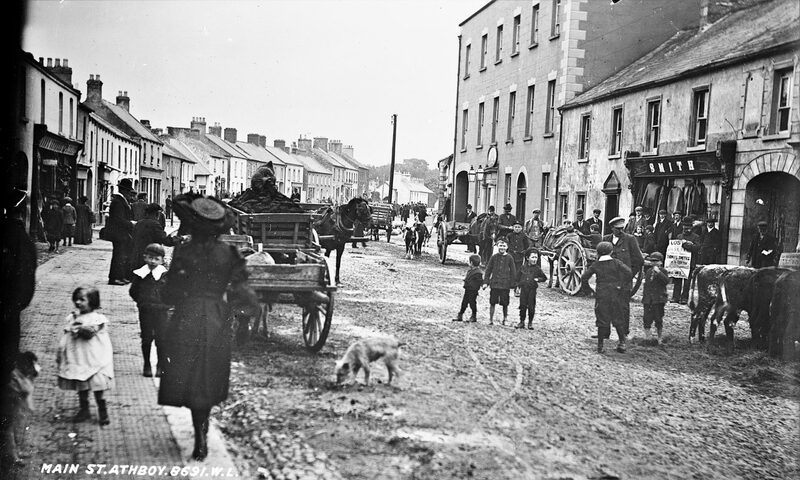 Athboy 100 is a project that aims, with your help, to bring to life Athboy of a century ago by uncovering the lives of ordinary men and women of the past. We hope that you’ll join us and by doing so maybe you’ll be inspired to learn more about your own family history. We are still in the process of building our online presence so please bear with join us on YouTube, Facebook, and Twitter.